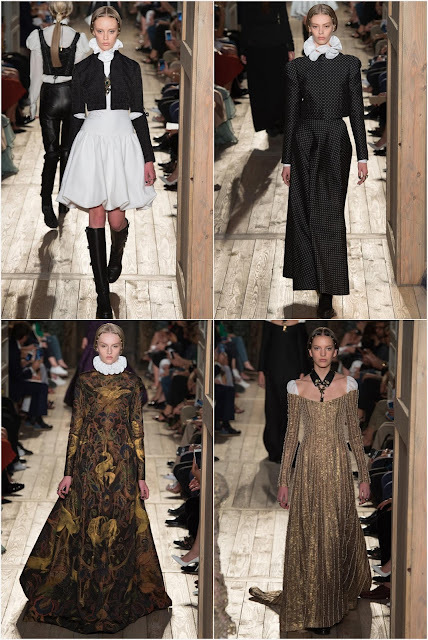 Valentino flashed back a cool four centuries or so with a collection filled with ruffs and puffed sleeves and everything else that would have been at home in the time of Shakespeare. Will Crown Princess Mette-Marit's love of high collars and ruffles see her turn into a player at the Globe Theatre? We shall see. 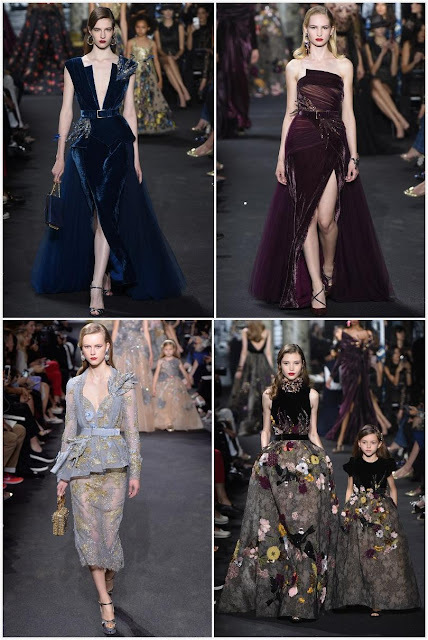 Elie Saab's New York-inspired collection included some of his signature embellished gowns, along with some lush fall colors and rich fabrics. There were even a few matching gowns for the littlest fashionistas, because scoring points in adorableness never hurts. I would love to see some of these velvets interpreted on the Nobel stage by our Swedish ladies, or gracing the steps of the Luxembourg palace. Armani's collection is the one most easily transferred to the royal runway, with lots of jacket and trouser combinations. I fully expect to see Grand Duchess Maria Teresa and Queen Mathilde scoop up some of these looks, and I think they'll suit MT particularly well. 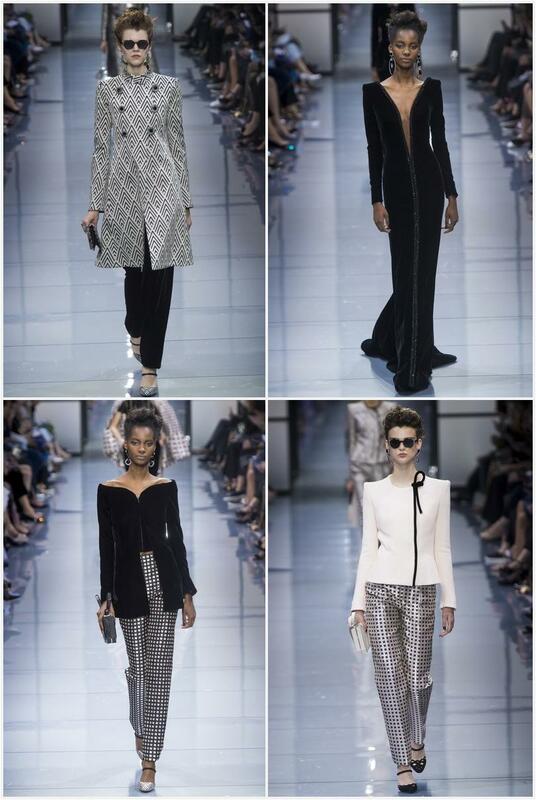 Giambattista Valli was particularly...fluffy this season. Fendi's venue is a sight to behold, even if they aren't among those we often see on our regulars. Chanel was maybe more for Princess Caroline and less for her kids this season. Ralph & Russo's show made me pine for their line to be better represented on the royal stage (same thing I wish most seasons, really). Until then, Sheikha Mozah can rock their capes by herself.